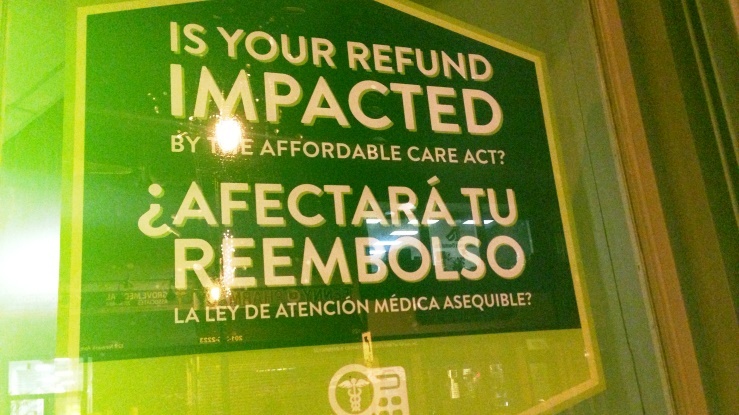 Consumers affected by the glitch will qualify for a special enrollment period. The penalty for affected individuals who fail to have MEC in 2015 is 2 percent of income. (Bloomberg) — HealthCare.gov, the enrollment website for the Patient Protection and Affordable Care Act (PPACA) exchanges run by the U.S. Department of Health and Human Services (HHS), was hit by a glitch for several hours one day before the latest deadline for consumers to sign up for health insurance. Some applications for the qualified health plans (QHPs) offered through HealthCare.gov couldn’t be submitted on Saturday because of “intermittent issues” with verifying a customer’s income through external sources, Katie Hill, a spokeswoman for HHS, said in an e-mailed statement. She confirmed Saturday evening that service had been restored. “The IRS and HealthCare.gov teams worked together to resolve the issue,” Hill said in a statement. She said consumers who were unable to complete an application can return to the website to do so, and that, if they miss the deadline, because of the glitch they will be offered a special enrollment period (SEP). The regular enrollment period started Nov. 15 and ended Sunday. It’s not the first time that HealthCare.gov has faced technological issues. Last year, the government signed up only about 2.2 million people in the site’s first three months as the staff struggled to fix software bugs. The government said last month that it had signed up about 9.5 million people for exchange QHP coverage for this year. Some taxpayers who went without health insurance in part or all of 2014 may have to pay a penalty of as much as 1 percent of income, the Treasury Department said last month. Taxpayers who fail to own minimum essential coverage (MEC) in 2015 may have to pay a penalty equal to 2 percent of their income when they file their 2015 taxes in in 2016. As many as 6 million people will have to pay the fee for last year, a provision of PPACA that’s designed to encourage people to sign up for insurance using the expanded options and financial assistance available under the law. The administration is considering an extra enrollment period for tax filers who learn they owe a fine for not carrying insurance last year, giving them a chance to avoid even heavier penalties in 2015. See also: 3 PPACA exchange enrollment shadows.